As if the mid-level category is not yet packed with so many amazing smartphones this year, OPPO Mobile Philippines has just released a new handset that's priced well below PHP 15,000. If you're currently thinking about upgrading to an attractive and capable midrange Android phone coming from your entry-level device this Yuletide Season, I think you should include the OPPO A7 in your list of 2018 models to check out. For one, it's one of the more affordable OPPO phones that has a Super Full View screen with Waterdrop Notch that's similar to what we see on the more expensive OPPO R17 Pro and OPPO F9. The large 6.2-inch HD+ IPS display delivers a good viewing experience when browsing social media apps, watching movies, reading blogs, or even when playing light 3D games. The all-screen face is complemented by the handset's gorgeous backplate with textured finish and gold accents. This panel, which is available in two colors - namely Glaring Gold and Glaze Blue - looks and feels both luxurious and elegant, making the device appear more expensive than it actually is. If you hate always plugging your handset to an electrical outlet or powerbank, you'd surely appreciate the long uptime of the OPPO A7. This model is powered by a massive 4,320 mAh Li-Ion battery pack and even has an energy-efficient 14nm Octa-Core Qualcomm Snapdragon processor; These two parts work together to ensure more than a whole day of regular use on the device coming from a full charge. 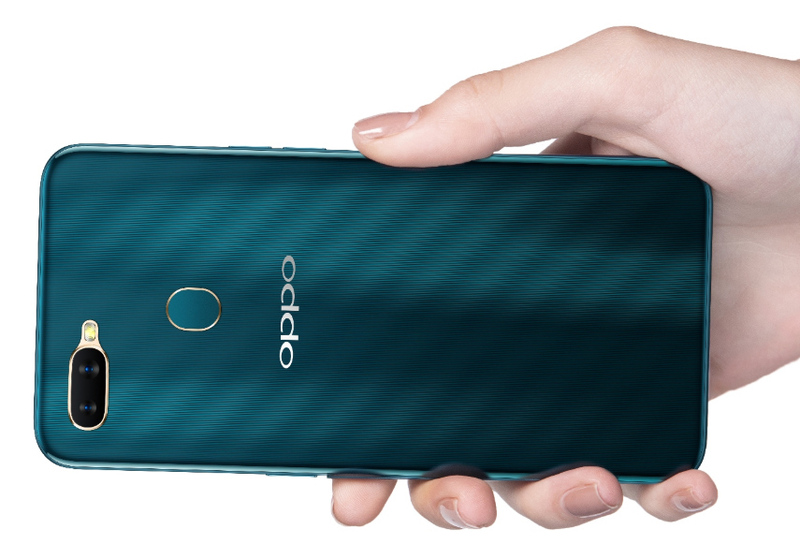 The capable chipset is complemented by 4GB of RAM for smooth multitasking and 64GB of storage that can be expanded using OPPO A7's dedicated microSD card slot, which means that you won't have to sacrifice Dual SIM capability just to get more space for your photos, videos, and other large files. 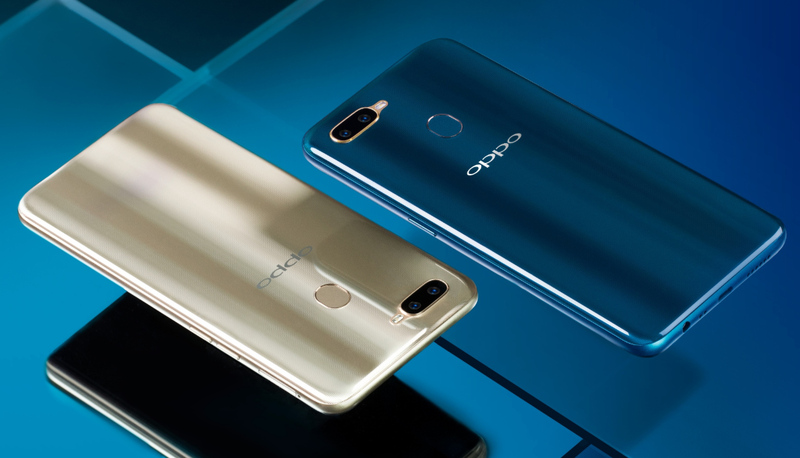 In front, the handset has a 16 MegaPixel f/2.0 selfie snapper that's powered by OPPO's AI Beauty Technology that allows the camera to 'capture the real you', which means that your selfies will still look like you even after beautification effect. 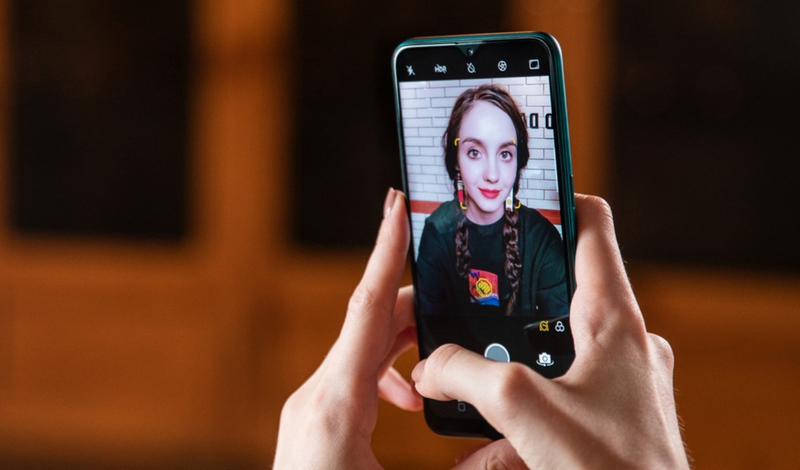 This cam also features the company's own AR Stickers, allowing users to have more fun with their friends when taking groufies through cute character add-ons.